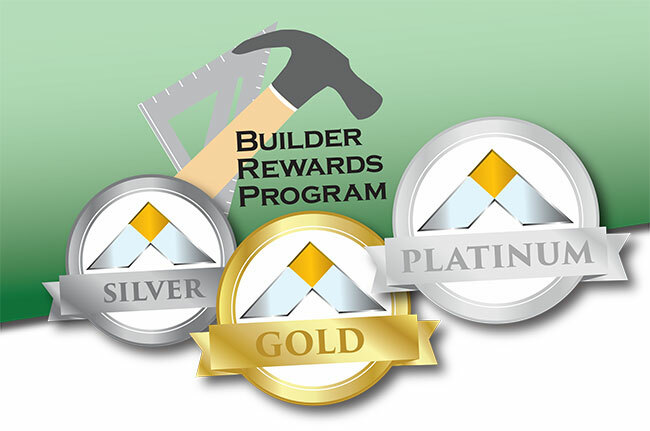 At Donald A. Gardner Architects, we have designed a Builder Rewards Program that caters to your needs and will give you the competitive edge. There are no registration fees or forms to fill out! You can now promote your business through the Don Gardner Architects (DAG) social media sites and magazines. All 2016, 2017 and 2018 plan purchases have been carried over to 2019! Earn discounts on plans and free reuse licenses! You are automatically signed-up for the Builder's Reward Program once you register for a myDAG account and choose "Builder" as your Customer Type! 5% discount on all plan purchases. Submit photography* for any of your finished DAG homes and we will promote your company on the DAG Facebook page when these are posted and provide links that will take the customers to your site. 15% discount on all plan purchases. Receive one FREE reuse license certificate with your qualifying plan order good to use on any prior plan purchase of your choice. Submit photography* for any of your DAG homes (from ground breaking to completion) and we will promote your company on ALL DAG social media sites (Facebook, Pinterest, Houzz, Instagram, and Google+), giving your company credit for the build when these photos are posted, and providing links that will take the customers to your site. 25% discount on all plan purchases. Receive two FREE reuse license certificate with your qualifying plan order good to use on any prior plan purchase of your choice. We will post your photos on our Blog (http://houseplansblog.dongardner.com) and the DAG website (www.dongardner.com). Have your DAG home professionally staged and photographed and we will publish it in America's Best Selling home plan magazine “Designer Dream Homes Presents," giving your company national exposure for the build. We will also prove you with a certificate good for a FREE future 5-sets plan purchase of your choice. *All photography must be in color and no less than 900KB per image. Donald A. Gardner Architects will have final decision on all photography that is displayed on any of their Social Media, Blog and/or websites. **In order to maintain membership at the Platinum Level, you must have ordered no less than 10 plans during the previous three years. If 10 plans are not purchased over the previous three years, your membership will be reset at the Gold Level. ***In order for your photography to be included in “Designer Dream Homes Presents" magazine, all shots must be color, high-resolution images that meet our minimum print-quality standards. Donald A. Gardner Architects will have final decision on which images meet their current standards for print production and will be included in “Designer Dream Homes Presents." ****Cannot be combined with any other offer. Plans must be purchased under the same account each time to earn program discounts.